With tens of thousands of fonts in circulation, it’s tough to identify a specific font from memory, when you see it. 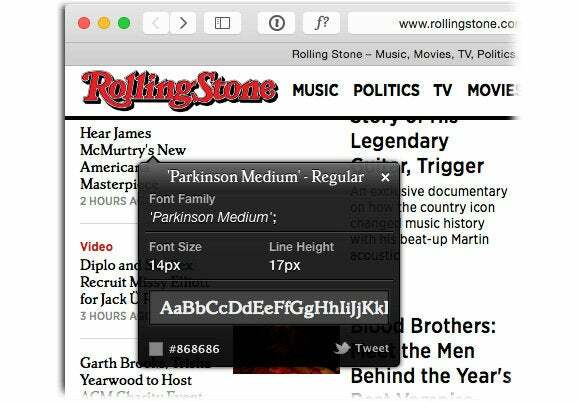 Fortunately, you don’t have to—there are free websites, and an iOS app, that can identify font samples for you on the fly. The process is easy and a whole lot of fun. No matter which resource you use, font identification from a printed sample works the same way: you scan or take a photo of some text, upload it, and then the resource tries to guess the characters in the photo. After the characters are correctly identified, the resource tries to find the font. For the best results, use a clean, straight image of the example text. Ideally, find a large printed example of the font and then scan it—18 point text or larger works best, because the edges of the characters will be more accurate. If you don’t have a scanner, take a careful snapshot with your smartphone or camera. Be sure to hold your camera so the text isn’t skewed horizontally or vertically. If that’s not possible, open the photo in an image editor and use its tools to straighten the example. The most graceful way to identify a font in the wild is with the free WhatTheFont Mobile app. Just launch the app and then snap a photo of the text wherever it appears—on paper, signage, walls, a book, and so on. The app prompts you to crop the photo to the text and then identify each character. Probable fonts then appear in a list beneath the photo you uploaded, using the letters from your example text (which helps you determine the best match). Tap any font in the list to see more details. 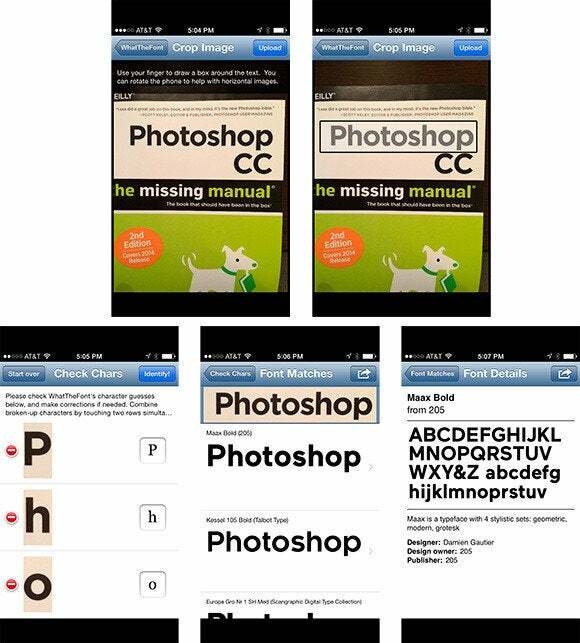 Here are the steps for identifying the font in the title of this book using the WhatTheFont Mobile app on an iPhone. If you don’t have an iOS device (! ), try using one of these websites instead: WhatFontis at www.whatfontis.com, TypeDNA at http://fontedge.matton.se and the WhatTheFont feature on www.MyFonts.com. Each site examines an image you upload and then asks you to enter the letters that appear in your image. The website then tries its very best to identify the font for you. Again, the better the picture, the better your chances are of finding the font. Happily, it’s far easier to identify fonts on the Web than it is in print. If the font you want to find is used on real text, not an image, just use WhatFont, which is available as a bookmarklet, as well as an extension for Safari and Chrome. Once installed, the extension adds a small “ f? ” button to the left of the address field in your browser. Click the button, point your mouse at some text, and information about the font magically appears. 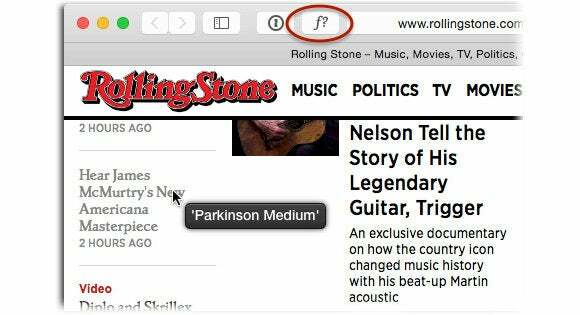 Who knew that Rolling Stone's website uses Parkinson Medium for its headlines? Clicking on some text while WhatFont is active pins a font detail panel to that text. This panel not only indicates the font name and size, it also shows the font’s alphabet and its color (as a hex value), and even lets you tweet what you’ve found. To learn more about a font using WhatFont, click the text to summon this handy panel. 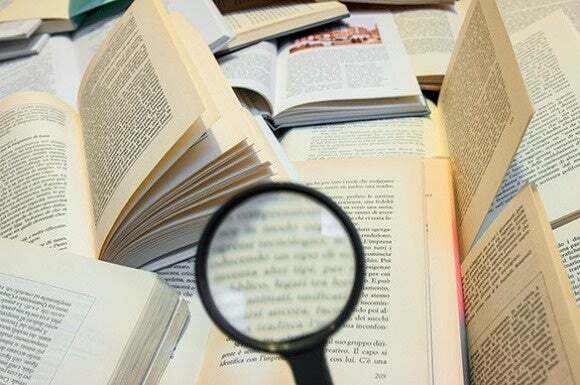 If the font you want to identify on the Web is actually inside an image (say, a logo or an ad), you’ll need to use one of the printed font resources mentioned earlier. However, instead of uploading your own image of the text, just drag the image from the website your desktop and then upload that image to the font-identifying service. That said, Firefox and Chrome users can automatically upload images using the WhatFontis extension. Once installed, simply right-click an image and choose “Use this image on WhatFontis.com.” The WhatFontis.com site opens in a new tab with your image primed and ready for identification. 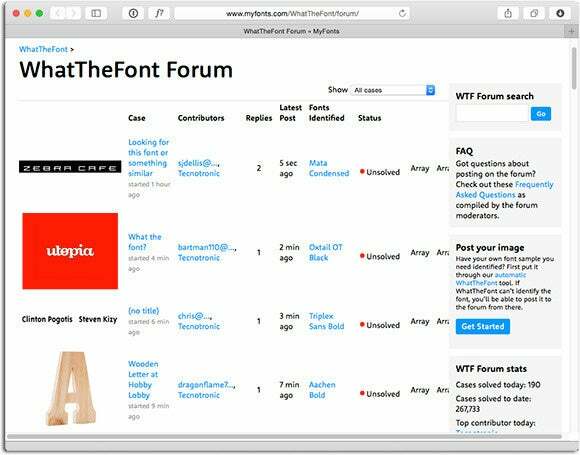 If none of the above resources can identify your font, try uploading the image to one of these following popular font identification forums. In a best-case scenario, your font will be identified in minutes. Otherwise, it may take a few hours or even days. Font identification forums can help identify difficult or unusual fonts (like those found on signage), but you may have to wait a little while for results. If all this font-identifying activity excites you enough to play a game about it, try The Font Game, a $2 iPhone app. Although it hasn’t been updated since 2011, both its information and addictiveness are timeless! Last but not least, if you find yourself frequently identifying fonts (lucky you! ), two $40 apps for Mac (and Windows) can provide a much faster font-finding experience, along with additional features that help you optimize the example photo. There’s Fontgear’s FontGenius and FindMyFont. As you can see, between the automated resources and helpful pros, you’re just a few clicks away from identifying any font. Until next time, may the creative force be with you all! PhotoLesa.com founder Lesa Snider is the author of the best-selling a Photoshop CC: The Missing Manual books, coauthor of iPhoto: The Missing Manual, author of The Skinny Book ebook series, a founding creativeLIVE instructor, and regular columnist for Photoshop User and Photo Elements Techniques magazines.